In Part 1 in this series we discussed how to build a predictable revenue stream for manufacturing companies. The first change you must make is to adopt an inbound mindset, one that matches modern buyers expectations. If you think like buyers then your company is able to put yourself in their shoes, and understand how you help them achieve their goals. Then you start marketing and selling how you help people achieve those goals instead of pitching and promoting your product first. Smarketing is the process of aligning your marketing and sales departments by setting frequent and direct communication between the two groups. The goal is to have common goals, definitions, expectations, and systems. Sales tends to focus on the hot lead that needs attention now, which are typically less that 3% of a company’s contact. Marketing tends to focus on the top of the funnel or brand awareness. Smarketing is an effort to make sure that from prospect to customer the entire experience is valuable and seamless for the contact. A common vocabulary starts with an agreed upon ideal buyer persona and an understanding of the buyer journey they take when considering your solution. Common vocabulary also includes defining lead quality, lifecycle stages, handoffs from marketing to sales and back, and responsibilities for next steps with contacts. 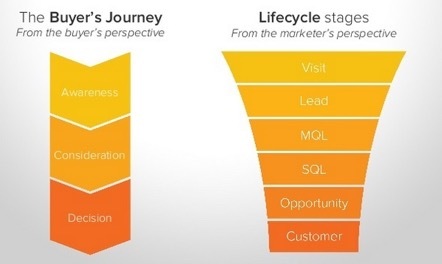 The understanding of the buyer’s journey and the stage the contact is in must match between sales and marketing. Common goals are documented and communicated in the SLA. This agreement holds both sales and marketing accountable to one another and to being on the same team in terms of delivering on the overall company revenue goals. Smarketing is a start but this effort alone becomes mostly about generating net new customers. We will discuss in a future article that with modern buyers the easiest way to grow is to make sure your existing customers are successful. The marketing and sales alignment process becomes complicated unless you have a single centralized view of the customer. For teams to make decisions where they need to made, close to the customer, they need to have access to the information about the contact. A centralized view of the customer is a single, shared, digital record for every contact including each event or interaction your business has with a contact. A centralized view of the customer allows your customer facing team to understand the critical information about a contact and their specific context and will enable your team to develop insights into the contact’s behavior, issues, interests, and needs. This record of information and context guides the activities meant to engage and help each customer. Have you ever called customer service, shared all of your contact information, and then been handed off to someone else and have to start all over? This is what happens without a good centralized view. Customer-facing teams armed with the right information are able to be proactive, anticipating what customers might need in the future. A centralized view gives you the tools your team needs to provide the right help at the right time to your target persona as they progress along the buyer journey. Creating a centralized view of the customer is never easy especially in companies that have heavy legacy systems or have never even tried to create a unified view of the customer.. A good start is to choose a technology stack that unifies the marketing, sales, and service views of the customer like HubSpot CRM. A recent study shows that 75% of sales managers say that using a CRM helps them increase sales, and companies who invest in a CRM generate over five times the return on their investment. In the end everyone must be aligned and in sync. 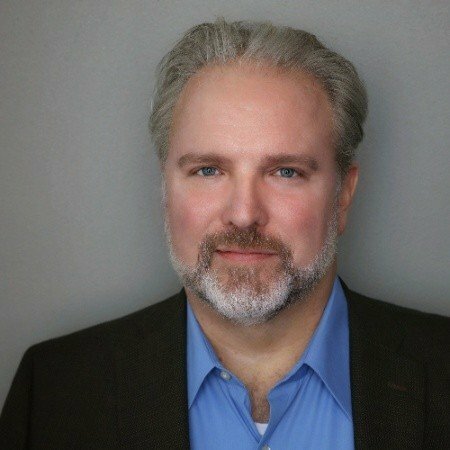 Start with aligning all customer facing people, give them a centralized view of the customer, and then move to the entire organization so that your industrial business is positioned to give buyers what they want - an amazing customer experience..
Todd Hockenberry will be the keynote speaker at Industrial Inbound Summit 2018. Hockenberry will be speaking on the culture of customers first, and why growing sales starts with internal change. The Industrial Inbound Summit is a one-day event, where manufacturers will create custom marketing & sales playbooks with expert instruction from our speakers and on-site marketing advisors. Learn more about this event here.